is going the wrong way on superannuation. of pressure in their electorates. policy to take account of unintended consequences. factors. It is no time to be fiddling with superannuation and undermining confidence in it. sector, including SMSFs, on a better way forward. or reduce the opportunity for people to make non-concessional contributions. particular, to the lifetime cap on non-concessional contributions. I write to clarify the scope of the Turnbull Government’s superannuation reforms announced in the 2016-17 Budget. As you are aware, the 2016-17 Budget announced the introduction of a lifetime non-concessional contributions cap of $500,000, applicable from 7:30pm (AEST) on 3 May 2016 (Commencement Date). The Government has been asked to provide guidance on how this measure will apply to a very small number of individuals using sophisticated financing techniques for the purchase of assets within a self-managed superannuation fund (SMSF). • The individual had planned to complete the contract of sale by making further non-concessional contributions after the Commencement Date. In such circumstances, transitional provisions will apply to allow further non-concessional contributions to be made only to the extent necessary to complete the Pre-Existing Contract, taking into account existing financing arrangements. The quantum of the additional contributions must also be within the constraints of the non-concessional contributions cap rules that existed immediately prior to the Commencement Date. These additional non-concessional contributions will be counted towards the lifetime non-concessional cap, but will not result in an individual being in breach of the lifetime non-concessional cap. In addition, transitional arrangements will apply to SMSFs with existing borrowings, including LRBAs. 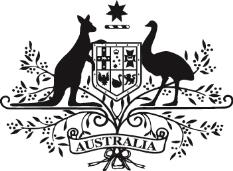 Members of SMSFs with existing borrowings will be permitted to make further non-concessional contributions to the extent necessary to ensure the legal obligations of SMSFs that existed on or before the Commencement Date are met or to comply with the Australian Taxation Office (ATO) Practice Compliance Guideline 2016/5 (PCG 2016/5). These additional non-concessional contributions will be counted towards the lifetime non-concessional cap, but will not result in a breach of the lifetime non-concessional cap, until 31 January 2017. Once legislated, this deadline will be extended only in exceptional circumstances and at the discretion of the Commissioner of Taxation. This transitional period allows those with no other practical option than to make further non-concessional contributions to meet legal obligations that existed at the Commencement Date or to comply with PCG 2016/5 sufficient time to rearrange their affairs such that they do not breach the cap as a result of contributions made after the Commencement Date. The date of 31 January 2017 is consistent with the deadline set by the ATO in relation to PCG 2016/5, which provides safe harbour guidance for SMSFs who have borrowed from related parties under a LRBA. I trust this information provides you and the very small number of individuals to whom the aforementioned proposed treatment applies the necessary certainty going forward. Should you have any queries in relation to the contents of this letter, please do not hesitate to contact Byron Hodkinson, Senior Adviser, Office of the Treasurer on (02) 6277 7340. More than a year ago the Labor Party announced its policy on superannuation, flagging a new 15% tax on retirement account earnings above $75,000 to raise $1.4 billion in revenue. Labor would also raise $0.5 billion from higher income earners. When releasing Labor’s budget costings for the election, the Shadow Treasurer said a Labor Government would take up all of the revenue measures on superannuation proposed by the Coalition. He said: “We continue to have concerns about the retrospective nature of the Government’s measures, we want to raise the same money announced, but committed to raising the same amount as the Government from the superannuation changes and there are some measures, resources of government, we would then sit down with the sector and work out if there is a better way, like but the commitment is to the envelope which the Government outlined.” (our added emphasis). The Government estimated its superannuation measures in the budget would result in a net gain to revenue of $2.9 billion. Labor is now proposing to tax superannuation savings to the same extent but is not saying how this will be done. For now, all it is saying is that it will pocket the extra tax revenue from superannuation changes proposed by the Coalition. After the election, it will sit down with the superannuation sector. Labor’s commitment to consultation is welcome but it’s really not good enough, on the eve of an election, to flag new taxes on retirement savings without any detail. The Coalition Government has set out in detail in the Budget how its superannuation changes will work. Labor should do the same before the election. will be applied and who will be affected. The taxation of superannuation affects people in different ways according to their circumstances. The newly-formed lobby group Save Our Super has joined an alliance of investor and superannuation associations who are urging the Coalition Government and the Labor Opposition not to proceed with their proposed superannuation changes. Save Our Super is led by Melbourne lawyer Jack Hammond QC who is campaigning to have superannuation savings made before the 3 May Budget ‘grandfathered’ so they do not adversely impact people who saved for their retirement under the previous rules. Save Our Super joins the Australian Shareholders’ Association, The Australian Investors Association, the Small Independent SMSF Funds Association and the SMSF Owners’ Alliance in calling for the Government and the Opposition to review their policies if elected on Saturday. The Budget decisions have caused dismay among many retirees and those close to retirement because they impose new limits and a new tax on earnings from superannuation accounts. “Save Our Super adds a new voice to the chorus of concern over the policies of both major parties that will impose a new tax on superannuation earnings and restrict the opportunity for people to save enough to be financially independent in retirement,” according to Duncan Fairweather, Executive Director of the SMSF Owners’ Alliance which is co-ordinating the campaign. The economic shock waves from Brexit mean the Government must pause and re-think its superannuation tax plans if it is elected next Saturday. The retirement savings of Australians are now vulnerable to the buffeting they will receive as the global economy adjusts to Brexit. Superannuation fund investment strategies and expected returns on fund assets are now much more uncertain. The share market will be more volatile, interest rates may stay lower for longer and investment values will be affected by variations in exchange rates and trade flows. In these circumstances, new taxes and new limits on superannuation savings will diminish the capacity of superannuation funds to deliver dependable and adequate returns to their members in line with their investment strategy and anticipated retirement income. The superannuation funds to which most Australians entrust their retirement savings are not protected against economic turbulence, whether they are self-managed or run by professional fund managers. They are exposed to investment risk, including the loss of capital, and longevity risk. In contrast, the defined benefits funds that politicians and public servants enjoy are guaranteed for life by government at the cost of taxpayers and are immune from adverse economic conditions. In the current circumstances, it would be unfair and unwise for the Government to proceed with its superannuation tax plans. Politicians should not expose the retirement savings of others to risks they do not bear themselves. They should not be imposing new structural changes on superannuation when the investment climate is so uncertain. If elected, the Coalition should immediately put its superannuation tax plans on hold until the consequences of Brexit become clearer. This is consistent with the Prime Minister’s message at his campaign launch today that in the wake of Brexit Australia needs stability in economic policy. If elected, the Government should also review the unfair impact of its superannuation changes on people who have invested in superannuation under the rules and now find their retirement savings are to be taxed. The Government should ‘grandfather’ the rules that applied prior to the Budget on 3 May. The Government should also review the numbers that underpin its policy. We have shown through analysis by Dr Ron Bewley, former Professor of Econometrics and Head of the School of Economics at the University of NSW, that the numbers on which the Government justifies its policy do not add up. The numbers on which the Government justifies its superannuation changes do not stack up and should be independently audited. As well as hitting the pause button on its superannuation tax policy, the Government should engage in genuine consultation with superannuation investor groups. So far it has fallen short of proper consultation. The Tax White Paper process was cut off at the knees even before an options paper was released; there was no consultation on the significant structural changes to superannuation in the Budget; and consultation on the objective of superannuation was merely expedient. The thoughtful submissions by many superannuation groups have not yet even been published on the Treasury website. There has been no answer from the Government on the many basic questions being asked about how the superannuation tax changes will affect them. There is widespread dismay among Australians who have retired, and among those approaching retirement, that the Government’s superannuation changes will disrupt their retirement plans and diminish the income they expected to rely on in retirement. Many people have told us they will now have to defer their retirement and work longer. Many have found that the back-dated non-concessional contributions cap, in particular, has wrecked their retirement savings plans. Abrupt changes to superannuation break the implicit contract between government and the people: in return for requiring people to lock-up part of their income for the whole of their working lives, the government provides incentives to encourage savings and should ensure that the rules of the game are not changed midstream to adversely affect people who have made savings in good faith. If younger people are to have confidence in superannuation, they need to be assured that the savings they make now under the current rules should still be intact in decades hence and not diminished by government policy changes in the meantime. Changes to the superannuation rules should always be prospective with prior savings and caps ‘grandfathered’ to honour the policies under which the savings were made. Retirement savings are such an important element in the economic and social fabric of Australia that the rules should not be changed by one political party or the other, but should only be made after thorough review, proper consultation and with bipartisan agreement.